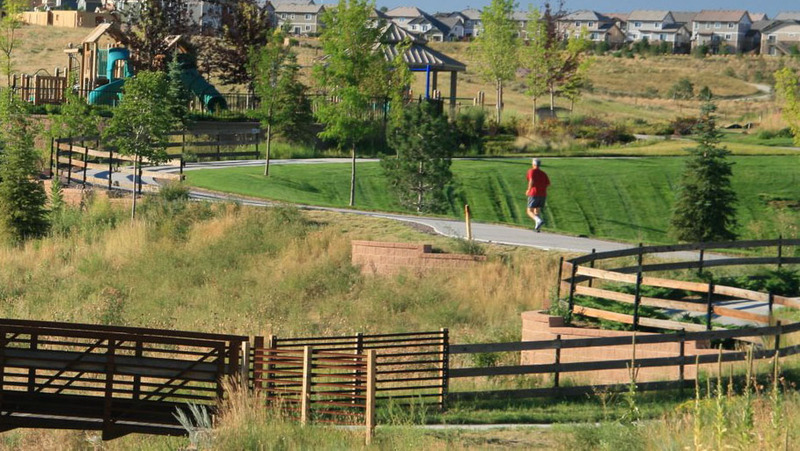 Wheatlands’ numerous parks and trails connect you to Aurora Reservoir and its amenities bringing the great outdoors to your backyard. Go for a bike ride on Cherry Creek Trail; enjoy captivating views of the Front Range; reconnect with Colorado’s past on the historic Smoky Hill Trail; or spend an afternoon on the greens of several nearby golf courses including Heritage at Eagle Bend and Saddle Rock. Over 40 acres of open space is available for recreation, relief from the indoors, as well as a habitat for protection and enjoyment of Colorado’s abundant wildlife. Responsible development has resulted in the preservation of the natural landscape and vegetation, adding to Wheatlands’ distinct identity. Murphy Creek is accessible through the Aurora Regional Trail System and a 280-acre Regional Park and shelter is being planned in the near future to further enhance this scenic area. Download the Application and Permit for Park Reservations. Click here to view the Park Reservation and Permit Policy.